Thinking of applying for a Create NSW grant? We spoke to past recipients about how they made their applications stand out. 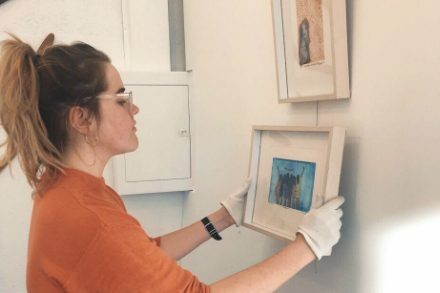 Bethany Thornber installing a recent Aboriginal Women’s printmaking exhibition at Burraja Gallery of which she was a part of. From Corowa: Aboriginal arts and culture mentorship with artist Treahna Hamm. The mentorship will cover traditional Aboriginal art making and contemporary art practice. What is the main thing you did with your Fellowship? I engaged in a mentorship with Yorta Yorta artist Dr Treahna Hamm. We explored heritage, culture and my identity as a young Aboriginal female artist as well as a cross-discipline approach to contemporary arts practice. During this mentorship I created a new work for a solo exhibition at the Murray Art Museum, Albury. How has the Fellowship supported your professional development and impacted your career? The Fellowship enabled me to learn and discover various techniques and methods of creating work that I was previously unfamiliar and ill-equipped to engage with. This has strengthened my practice and given me the confidence to keep pushing the boundaries of what my art can be. I have also had the opportunity to exhibit my work professionally and to share with and involve my local Aboriginal community, which was hugely important to the integrity of my Fellowship arrangement, and my growth as an emerging artist. Alongside this I am currently working as the Aboriginal Arts Curator for Burraja Gallery, which is a contemporary Aboriginal art gallery that supports local Aboriginal artists in my region. What would you say to someone who wants to apply but isn’t sure their idea is strong enough? I would say to read and re-read the guidelines and to pick out key words that identify what it’s really asking for. If you’re unsure if your idea is strong enough, run it by someone who has more experience in grant writing, such as those at your Regional Arts Development Organisation or local art galleries and arts organisations. Also, be sure to call the staff at Create NSW and run your idea by them. They might be able to give you an indicator as to whether you’re on the right track. Do you have any tips for people who are thinking of applying for a Fellowship? Again, I would say to run your idea by someone who has experience in grant writing and to contact Create NSW to get an idea if you’re heading on the right track. Check that you’re addressing the key criteria, but make sure that you convey that you are not only passionate about your program, but that there is clear merit, benefits, and outcomes to it. If you’re a young artist or arts and cultural worker aged 18-25, and looking to develop your professional skills and practice, apply for the Young Creative Leaders Fellowship. From Newcastle: Dancer, choreographer, educator and director. Cadi is undertaking a residency at Vitlyke Performing Arts Centre, Western Sweden. 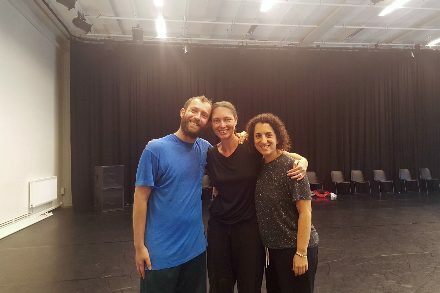 Cadi is working with ILdance with Artistic Directors Israel Aloni and Lee Brummer on the ilYouth program and with choreographer Rachel Erdos and Assistant Director Marten David (Israel). The impacts of the Fellowship at the half way point, appear extremely positive. In my very short time overseas I have already set up the possibility of international exchanges. I am hoping that the doors will continue to open in this way. The Fellowship is providing me with the time, finances and space to reconnect with my own practice, after founding and directing Catapult dance Choreographic Hub, Newcastle, which is crucial to me as an artist. I am committed to transforming Newcastle (NSW) into a hub of professional dance and collaborative arts practice, with regional, national and international recognition. I have been focused on building a burgeoning dance sector that creates employment and an environment for regional artists to professionally develop since founding Catapult in 2014. My long-term aim is to build a regional contemporary dance company in Newcastle that runs parallel with Catapult programs. If my own practice is current, strong and invigorated, this in turn positively impacts on the regional and young artists that I engage with through the Catapult Propel residencies and the youth initiative: The Flipside Project. I am dedicated to building the next generation of regional artists. Establishing avenues for young people to access and participate in contemporary collaborative dance programs, residencies and activities in the Hunter. My vision is to create international exchanges that tour, the Flipside Project overseas, and for international artists and young people to visit and work in Newcastle. Networking and gaining knowledge of successful programs and organisational structures internationally will aid in the sustainability of Catapult. Through vital information gathering, I will develop new strategies to successfully grow the capacity of the organisation. Go for it. My philosophy is to apply as you never know what the outcome could be. If you are passionate about your craft, and that is supported by your ideas, plans and creative direction then it is worth applying. Be clear about what you hope to achieve and why. Give yourself enough time to apply for the grant, to ensure your ideas have clarity and you can re-read a few times before submitting. Sometimes what appears to be perfectly clear in your own head may not be to someone who does not know your own creative practice. My suggestion is to get someone to read your application to provide feedback. Make sure you do as much research into the project as you can prior to applying and detail exactly what you hope to achieve with clear milestones for the project. Make sure your connections are well documented with letters of support, as that helps secure your activities, especially when working with other artists, organisations, or overseas contacts. If you identify as belonging to one of the Create NSW priority areas, and looking to develop your professional skills and practice, apply for a Create Development Fellowship. Gabriela Green Olea and Alison Plevey, Gorman Arts Centre. Photo by Martin Ollman. From Bega: Gabriela undertook a professional development program that will help to establish a sustainable career as a young dancer in Bega. I used the Fellowship to develop a dance expertise outside of my regional context. It supported my first ever mentorship with Rebecca Hilton who continues to guide my work today. I connected with Alison Plevey and other young dancers with regional connections and developed my first ever work, which is still in progress. The work Continuous Process, Altered Location will be shared at the This is not Art festival in Newcastle this September and October. The Fellowship I received in 2017 supported the very first stages of my professional career as an artist. Through the mentorship I became aware of the identity of my practise and have found it much easier to find collaborators of whom share similar social values and passion as myself. I feel much more confident to talk about the work I do and have found direct pathways to other opportunities both locally here in Bega, and in cities like Sydney, Canberra and Melbourne. Do the logistics first, map your idea out, and see what is possible. I like to work backwards from the dream place. You want to get there, but you need to outline the steps to get you there first. Then, make sure you connect with all people who are going to give you support letters and advice. All these things as early as possible. Everyone is busy and you want to make sure you value and acknowledge your collaborators time. Khaled Salsabi – A Self Portrait PICA SHOW 2018. 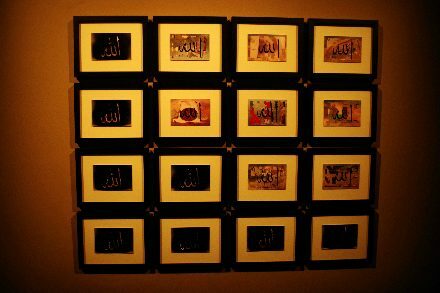 Image: Courtesy of the artist and Milani Gallery, Brisbane. Khaled has had a considerable impact on his local community within Western Sydney through his involvement in initiating a number of local projects and mentoring artists. This Fellowship will allow him to create new work, establish an archive of his practice, and publish a digital monograph. One part of the Fellowship was to look at 30 years’ worth of work and practice, covering 50-odd works. As an artist who has a well-documented practice for over 30 years, I submitted to the Fellowship pretty much to have a ‘pause moment’, to look back at produced works, also to digitise them and make them more accessible. Because I mainly work with video, I wanted to bring those older analogue works into a more modern and user-friendly format, so they can be viewed for the future. And out of that process I managed to further resolve four or five new works that came out of the Fellowship process as well. The Fellowship also allowed me to seriously take time out for the first time, and I utilised that time for reflection and to start working on a digital monograph of my works, which I completed during the Fellowship. And as we all know this contributes greatly to future projects and endeavours. For sure it supported me, because without the Fellowship I wouldn’t have been able to take that time out to reflect on those works. Secondly, I would’ve continued working full time and juggling between being a full-time employee while trying to maintain an artistic practice. The Fellowship allowed me the time to be able to take a break from full-time employment and really focus on my practice, which was phenomenal, and important, and couldn’t have done it without the Fellowship. It’s not like undertaking an individual project with one outcome. With a Fellowship there is an outcome of course, and there’s also an opportunity for the artist to develop their whole practice. I think all artists, doesn’t matter what stage of their career, should consider applying. They should never have any regret or hesitation in terms of applying for any grant or any funding opportunity, because the process will only strengthen their future application submissions, and their future approach to writing a really good application. But in particular, to the question of the Fellowship, you’d have to be really clear in terms of how it would progress your professional development and your capacity as an artist. That’s why these types of Fellowships are usually aimed at the sort of the so-called mid-career and established artist as opposed to the emerging artist. So, in brief it’s really about what you want to do as an artist, and how you want to utilise that time and those opportunities for you to build your career and establish your practice as a whole, not as individual segments. What tips do you have for anyone who’s thinking of applying for a Fellowship? Be clear on what you want to achieve in the Fellowship period. Be realistic on what you want to accomplish and what your outcomes will be. From there, let the application develop. If it’s achievable, realistic and the outcomes are clear, your application will be strong, because your submission is based on clarity and accurate outcomes, realistic outcomes and realistic goals. Also do your research. I think it’s important to do a lot of research into the Fellowship, and research other artists who’ve received Fellowships, not just from the State Government but also from the Federal Government grants. All that information is public and is accessible in terms of previous successful applicants and what they applied for and what was a success in that application process. So clear goals, clear expectations, clear outcomes, show an opportunity for capacity building as an artist for your practice, also do the research in how others manage to be successful applicants. 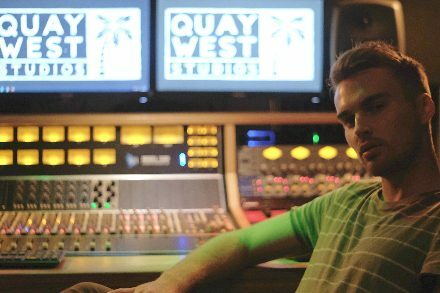 From Port Macquarie: Undertaking several music production internship programs at leading recording studios in the United Kingdom and Norway to learn how music labels and production studios are managed. This will develop his business skills and networks in order to record and produce regionally based artists. The Fellowship enabled me to gain an invaluable amount of experience in countries outside of Australia. Being offered the opportunity to gain this experience while working overseas has added another dimension to my skillset. There is absolutely no way that I would have been able to build the network I have now created. The Fellowship allowed me to collaborate with incredible artists from England, Norway and Wales and there is no way that these collaborations would have been a possibility if I hadn’t ventured to work in those far off areas. The experience gained from the Fellowship was the major catalyst of me being awarded a scholarship to study my masters degree. All artists and creative types are riddled with self-doubt. All creative practitioners question if their work is good enough or if stands up artistically compared to their peers. The best thing to do is to pitch the idea to your family, friends, colleagues and uninvested third parties. Feedback is an incredibly important part of any creative process. This will allow you to not only open your project up to the ideas of others but it will build you confidence around the idea itself. The more you speak about the idea, the stronger your belief in your idea will become. Do it! It was easily the best experience of my life. It taught me so much invaluable information and gave me the belief that I can succeed in the creative industries. There is absolutely no downside to applying for the Fellowship. The application process requires you to undertake an in-depth review or your creative process and identify what your next steps in your creative career will be. By the time I finished my application, I was so set on following through with my plan that I was going to undertake the process whether I was awarded the Fellowship or not. The application process itself lights a creative fire under you whether you’re awarded the scholarship or not.